If you love cars, read this article! As far as I'm concerned I don't like car shows but this article is constructive and interesting because we learn a lot of information. 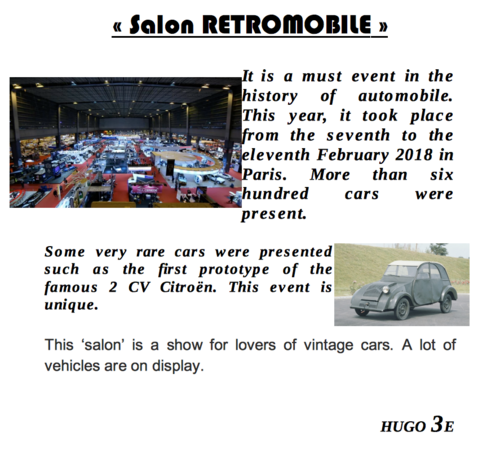 I believe that this salon automobile is interresting. If you ask me, I don't like this style of cars. From my point of view, the vintage cars are the better. They have something of special. If you ask me, this show is good for passionate. I would argue that, This show should be interesting because he has more than a hundred cars.